Smyths Toys have just announced their Top Toys List for Christmas 2017 and it's a really interesting selection. These are the toys predicted to sell incredibly well and judging by the number which are currently out of stock, I think the public are already buying. 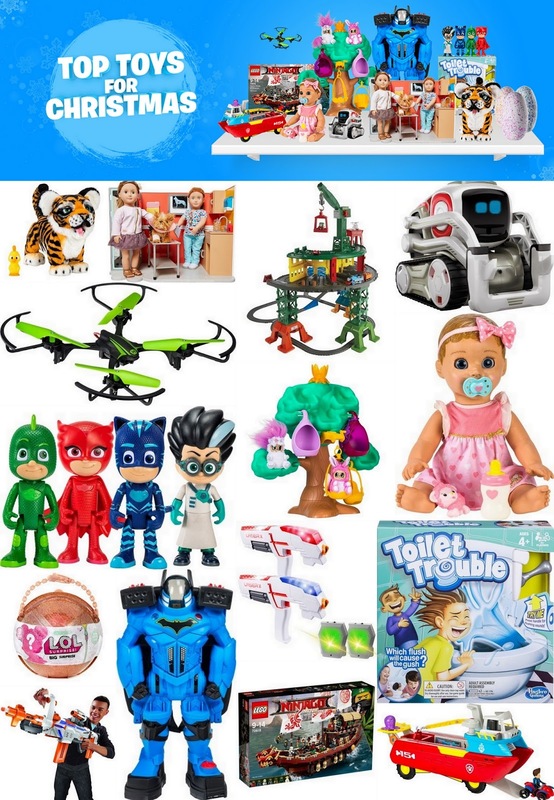 This year the list includes a good mix of pre-school, early years and toys for older children, with a range of prices from £19.99 to £199.99. Modern electronics feature heavily, with most toys battery operated and some of them streets ahead of technology available even a couple of years ago. Personally I'm a bit disappointed to see STEM skills poorly represented, with only 1 science toy among the list - it is a beauty though! This little guy is really quite clever, with over 100 sounds, actions and reactions. Clearly a main present at that price and I'm not sure I'd want to spend that much on a soft toy for any of my lot. I don't think we'd get the value from him, but for some children he'd become a constant companion and compared to other animatronic toys, he is bigger, has more actions and is pretty impressive. Again a main present, but this set actually offers incredibly good value for your LEGO pounds because Ninjago doesn't have a licence premium. I had a good look on Saturday and you basically have an awesome 3 storey house playset and 7 figures, plus it features in the upcoming movie - what's not to like? I'd happily buy this, or ask for it myself (just in case any of my family read this). I've never seen PJ Masks, but these figures are a nice 15cm size and poseable, as well as each having a range of phrases. They seem a great present for any child who is a fan of the Tv show and are a great size for small people to play with. Annoyingly we were meant to have reviewed this, but it was lost in the post. I was excited by it which is why I agreed to review. 2 players, 2 blasters, 2 vests. It sounds great and a really good present for a family such as mine with siblings fairly close in age. This is a great playset with lights and sound, moving parts, figures, a smaller vehicle and accessories. It'll be a sure hit with any fans of the TV Show and makes a great present. Impressively large and I think you will really feel you had value for your money. Drones are massive at the moment and the technology advances in the last 12 months make them almost unrecognisable since last Christmas. I've not tried this one, so I'm going by the spec, but it has 3 sensitivity modes for different ability levels and flight time at 10 minutes is excellent. Should be a good drone for a beginner to learn with and hone their flying skills. This is HUGE. Over 2 feet tall and it encompasses a whole range of toys in one - voice changer, large moving model, small worlds headquarters playset, mini figure and vehicle, plus projectiles and launchers. It's really impressive and would I'm sure delight any Batman fan, although I'm not sure how much actual 'play' the large figure would actually have. I'm a big of Nerf and the Modulus is excellent fun. The Regulator is my favourite of the Modulus sets, so I'm happy to endorse this one. It's an expensive toy, but a great blaster which you can adapt in a multitude of ways and it has a massive box - making an excellent present. I reviewed the Nerf Modulus Regulator in August. This really is the Marmite of the list, welcome to Uncanny Alley. The Luvabella Doll is available in different styles to match your child's skin and hair colour, is very realistic looking and has a huge range of facial movement, which doesn't sit well with some people. My children would hate this, some kids will absolutely adore it. It expands it's vocabulary as you talk to it, burps, coos and generally mimics a real baby, although hopefully doesn't wake you up at 3am. Very clever for the money. This is toilet humour in the form of an active family game. You have a toilet with it's bowl full of water, and a random factor by spinning the toilet roll and using the handle to see if you flush or get sprayed. Clearly kids will love it and it's a really big toilet for the money, but it' s a complete gimmick and Grandma may not be so keen. This is basically a giant half ball filled with LOL Surprise goodies - including 5 Bath Fizz Balls with charms, 10 accessory balls and 4 LOL Surprise balls comprised of multiple layers, each of which has a surprise - a small doll, clothing item, accessory, sticker etc. Presents within presents. It's a heck of a lot of opening and I know that would have pleased me, as would the dolls themselves - if your child is just like me aged 6, they'll love it. You may not be so pleased with a small handful of tiny items you ultimately have to show for your money. It's about the journey as well as the destination. A giant 60cm x 60cm tree with one Bush Baby and 4 spaces for the rest of your collection, plus a light up crown on top. Bush Babies are plush animal/doll hybrids with large eyes. If your child is a collector then this is great, otherwise it's maybe not the first toy on your list. Cozmo is a very small and cute 20cm robot who can be programmed via an app. He has 3 companion cubes and is reactive, but will also initiate actions himself, play games and generally melt your heart. The science behind him is very clever, and users are encouraged to understand how he works and get to grip with the coding side of things. He's been first on my wishlist for Christmas 2017 for the last 18 months. This is a huge double sided playset with a bucketload of accessories including a genuine lightbox to show x-rays and an examination table, as well as play food, paperwork and medical equipment. One side of the toy represents the waiting room and the other the medical room. This has massive play value for any child and is ideal to use with any 18inch dolls and small animal toys you might already have. Perfect for any animal loving children. This may be a more expensive train set than normal, but it is massive. Over 10m of track, loads of the familiar Thomas landmarks and multiple layouts to fit into almost any room. Complete with a crane, turntable and cargo lift, this really has to be the ultimate in Thomas and Friends tracks, and will work with the wooden engines, adventure, track,master and minis. This will keep any Thomas fan happy all year I reckon. 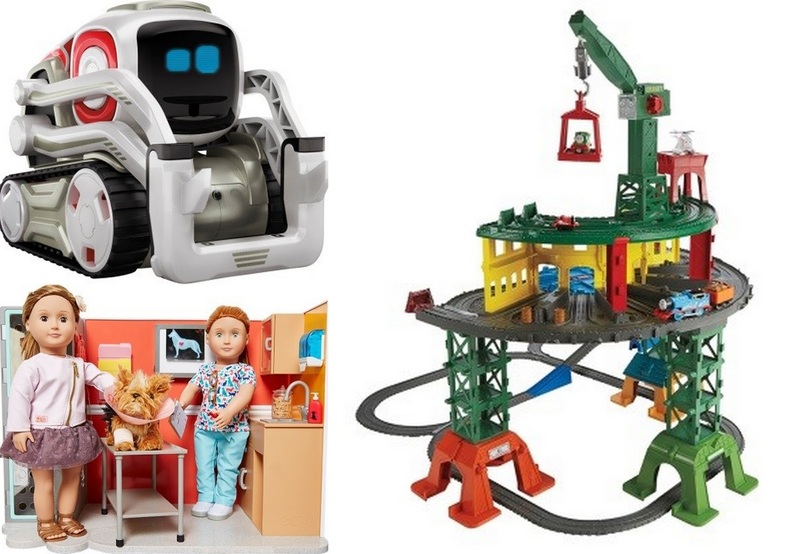 My overall thoughts are that it's a truly impressive wishlist, with loads of fabulous toys. They're tech heavy and this bumps up the average considerably, but it's easy to see where that cost has gone in design and engineering. Our children would only be able to get around 9 on their Christmas budget, the others would be beyond what I'd usually spend on one gift. I'd like to see prices fix or preferably come down a little before next year. 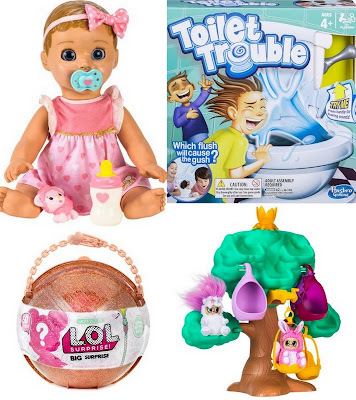 You can find all of these toys in the new Smyths Toys catalogue and in each of more than 110 Smyths Toys Superstores across the UK. Pick up your FREE copy of the 300 page catalogue in-store. To coincide with their top toys selection, Smyths Toys and Canterbury Travel are offering one truly lucky family the opportunity to win a trip to meet Santa Claus and his reindeer in his Arctic homeland in the North Pole. The winner and their family will take part in a host of traditional Arctic activities such as a classic sleigh ride pulled by huskies and reindeer. Visit the Smyths Toys website to take a closer look at the huge range of toys and for more details on how to enter the competition. 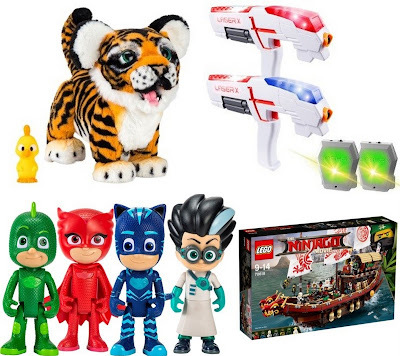 Smyths Toys asked me to share my thoughts about their top 15 toys for Christmas 201. I was paid for my time. 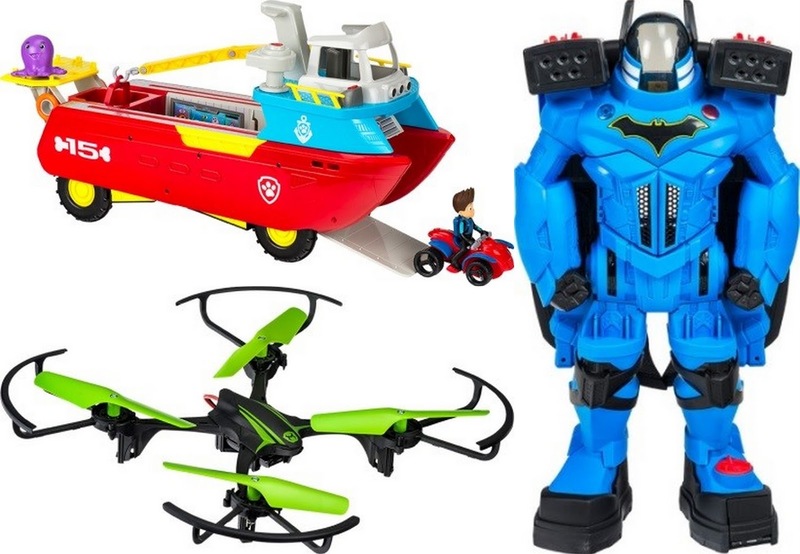 There are some great toys on that list, although I agree it would be good to see science more significantly represented.